What Should We Make Of Bitcoin Now? A little over three years ago, we wrote an article about what Bitcoin is, and whether or not it was a worthwhile investment at the time. Back then (in April 2013), Bitcoin’s price was hovering between $100 and $150, which at the time was a pretty high range. It had been viewed as a sort of experiment before topping $100, and from that point forward became a more interesting point of speculation among potential investors. We theorized at the time that Bitcoin excitement was a little bit overblown, but that it could become a useful digital currency once all the hoopla died down. In truth the same theory could be applied today, but the circumstances are still very different now than they were in the spring of 2013. At this time, Bitcoin is worth about $600 (and reached highs near $1,000 just months after the 2013 article was published!). So what should we make of it today? The first point I’d make to any young professional looking into Bitcoin for the first time (or maybe just looking at it again) is that the price shouldn’t be trusted. Bitcoin has become more valuable than most people thought it would be. But there’s still a lot of volatility in the price. For instance, this time a year ago the price was roughly $240, meaning we’ve seen a $360 shift in one year. Between February 1 and the middle of June this year, the price bounced from $375 to $731—a $356 shift in just four months. There are plenty of other examples if you look back at the chart over several years, but the point is that digital currency valuation remains volatile. Yes, if you happened to buy a bunch of Bitcoin when we wrote our last article, you’d be in pretty good shape—but perfect timing in retrospect is easy! The other day I was walking through my local mall, and for the first time I noticed a new little white machine with an orange “B” on it. I’d seen the same thing online before, but never in person. 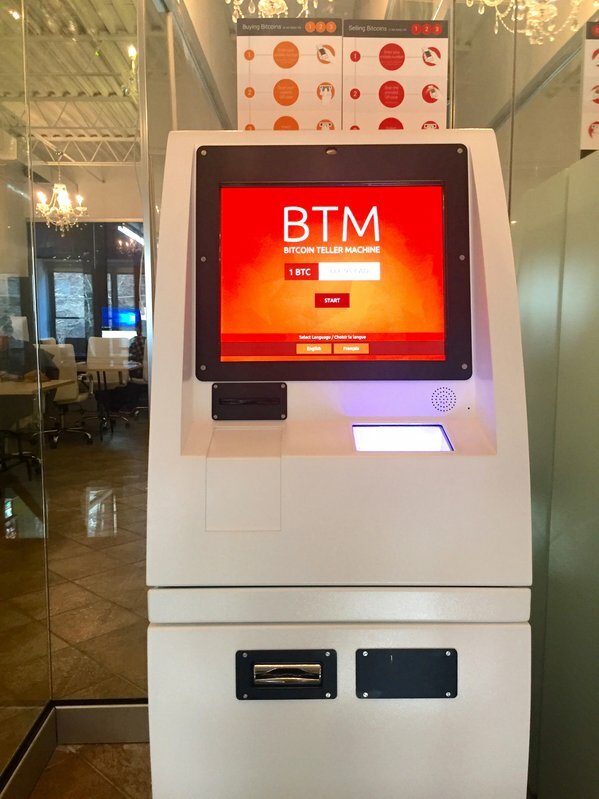 It was a BTM, or Bitcoin ATM, where people can put in cash and load up Bitcoin onto their mobile devices. I’d read before that there’s an ever-increasing number of businesses and brick-and-mortar locations accepting Bitcoin, as well as that these BTMs were becoming more popular, but I hadn’t seen it with my own eyes just yet. The truth is that Bitcoin is actually accepted pretty widely now, and it’s become pretty accessible. That doesn’t mean it’s ever actually necessary for the average person to use it, but one difference between our 2013 article and the climate in 2016 is that it’s no longer really inconvenient to use it. That may just matter for the ultimate question of where Bitcoin’s headed from here. his digital currency, thereby propping up its value. In case it’s not clear, my final ruling here is that nobody knows if this is a good investment—but I would say it’s at least worth taking a look at. If the question is what we should make of Bitcoin now, my answer is that we should take it more seriously. I’m in the camp that believes Bitcoin will not lead some massive digital currency revolution to displace the dollar. But I’ve also come around to the idea that plenty of people like to use it, and that it’s a pretty fascinating commodity when viewed through an investment lens. So, how about you, readers? Has anyone made the leap and bought some of this digital currency lately?